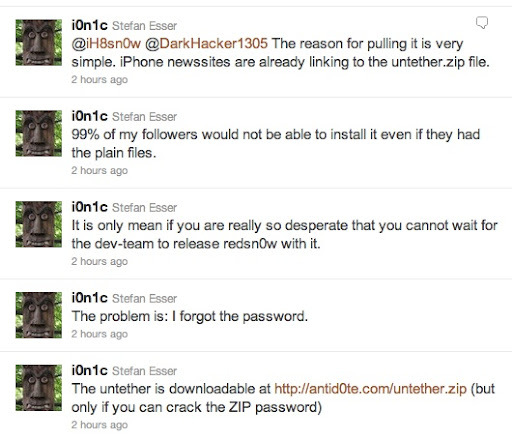 Stefan Esser (Twitter's name: i0n1c) the iPhone security expert hacker and the guy behind the iOS 4.3.1 untethered Jailbreak solution, just released the untethered Jailbreak. However, he teased the readers by zipping the file and mentioned he “forgot the password”. Its not going to be long before the Dev Team to release the proper tool for Jailbreak. Let’s wait a little bit longer.